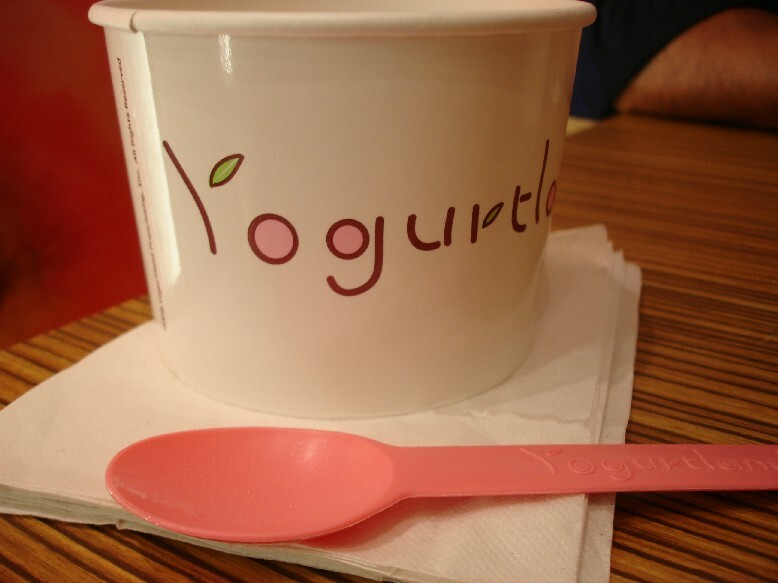 I’ve been wanting to try Yogurtland forever. 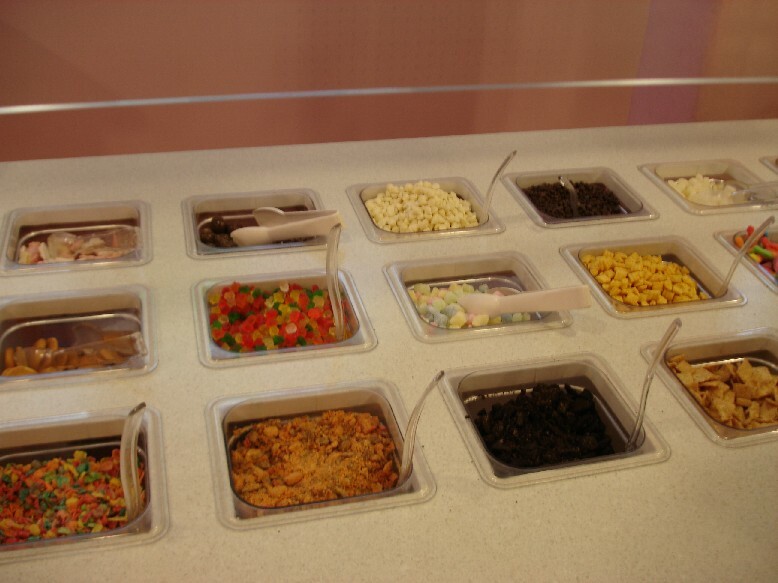 I love this concept of a self-serve frozen yogurt shop with a loaded topping bar, all priced by weight. 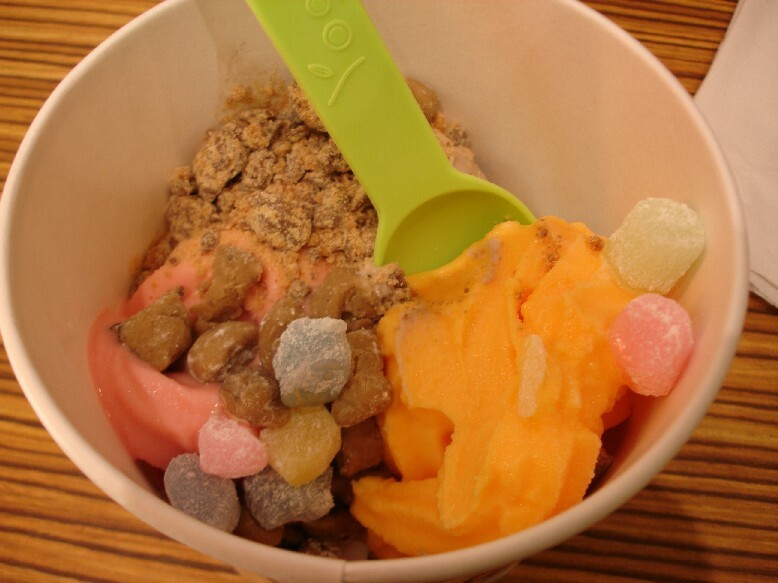 At 39 cents an ounce, you can get as little as you want, and as many flavors and toppings as you want. It’s perfect for people like me who like to try a little bit of a lot of things. 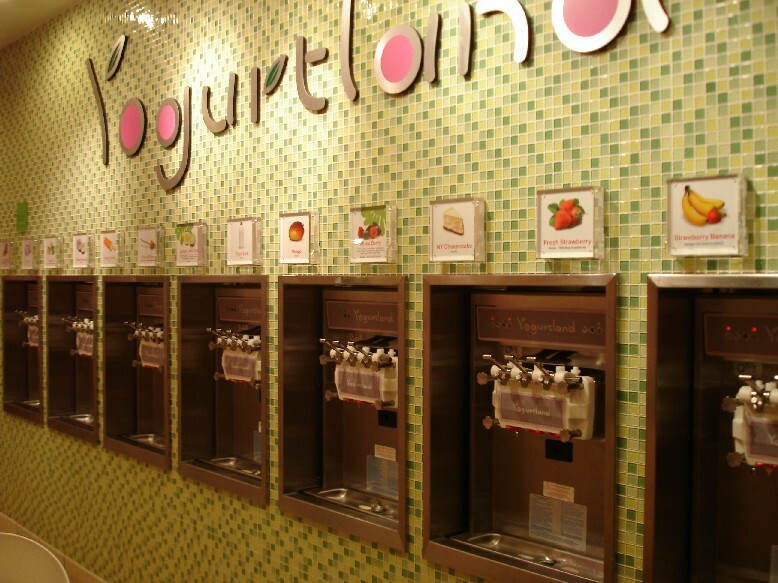 They have a wide selection of yogurt flavors to choose from. Sample cups are available upon request so you can try the different flavors before committing. The topping bar is AWESOME, loaded with every topping you can think of (except for my favorite whipped cream), with a strong focus on fresh fruits like blueberries, strawberries, kiwifruit, mango, and lychee. You could actually make a lovely fruit cup out of the spread. But anyway, here’s my hubby’s cup: orange creamsicle yogurt with mochi, strawberry yogurt with cookie dough bites, and chocolate yogurt with Reese’s peanut butter cups. 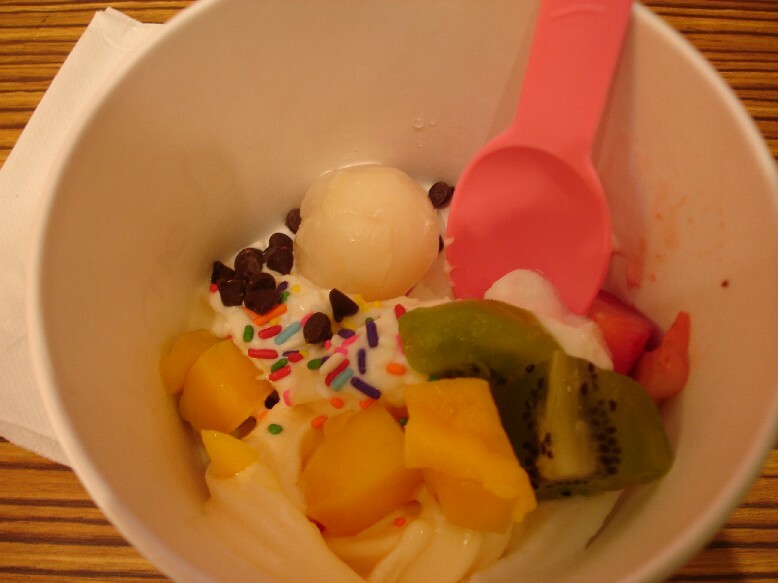 Here’s my cup: classic tart yogurt with strawberries and kiwi, mango yogurt with fresh mango, and NY cheesecake yogurt with rainbow sprinkles, chocolate chips and a lychee. I was trying to make three mini parfaits in the same cup. 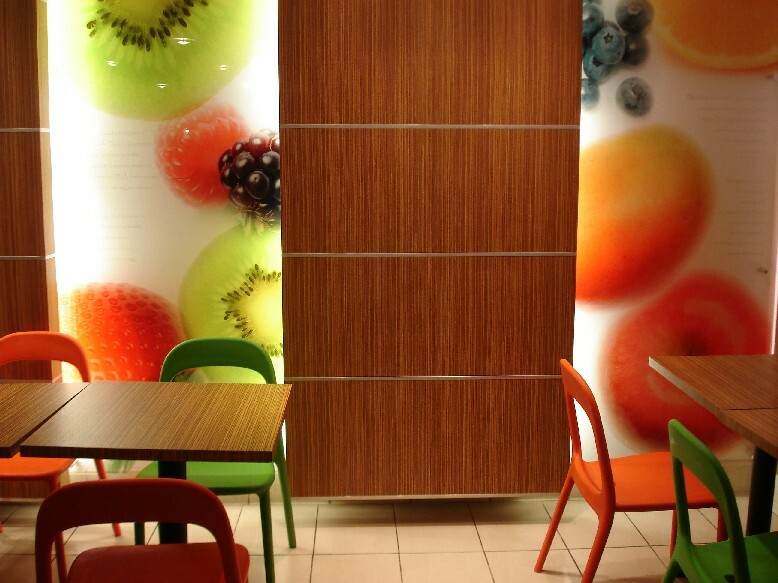 I’m happy to have finally made my yogurtland debut – it was a blast. $5.46 for the yogurt, but the fun is priceless! You can’t talk famous local snacks without talking about coco puffs from Liliha Bakery. 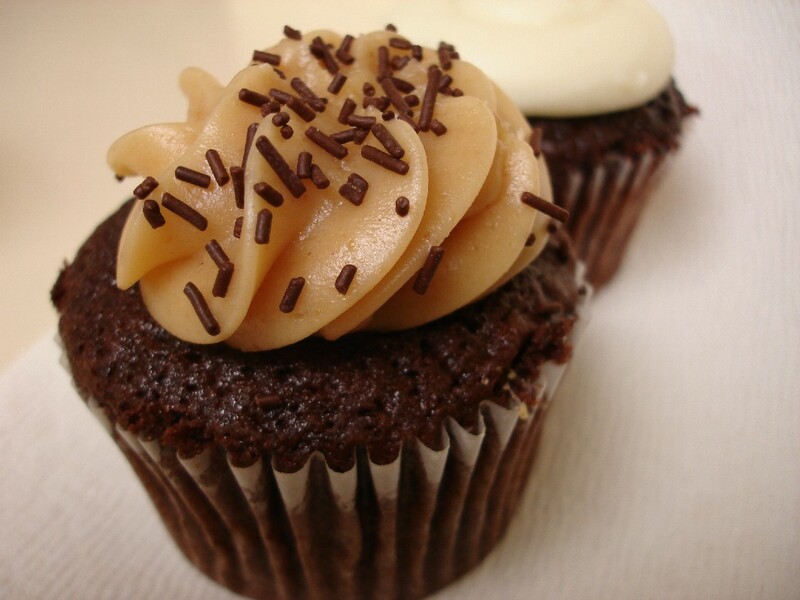 Who here hasn’t indulged in one of these sinful treats? A box of these puffs have long been an island favorite as a gift for the office, to bring to a potluck, or to bribe someone for a favor. We recieved these lovely Coco Puffs ($1.20) and Green Tea Puffs ($1.25) at the office today. I prefer the classic coco puff, with its buttery chantilly frosting and chocolate filling. 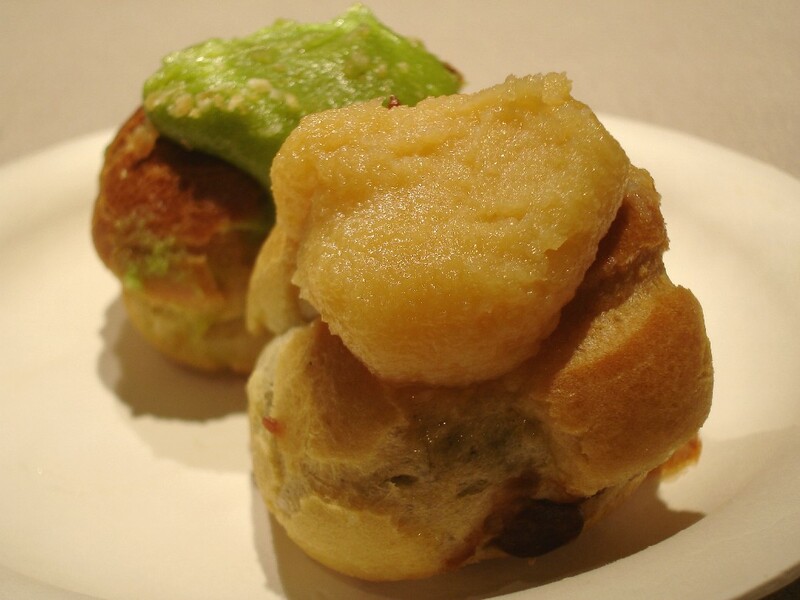 A warning for anyone expecting a regular cream puff: these are much sweeter and heavier. Our friends over at The Wedding Cafe brought over some of their signature Pumpkin Crunch to the office! Meet their pumpkin crunch, from top to bottom: whipped topping sprinkled with pumpkin spice, pumpkin filling, and a buttery walnut crunch crust. My favorite part is the crunch at the bottom, which is almost like caramel walnut brittle but with just enough flour to make it a crust. 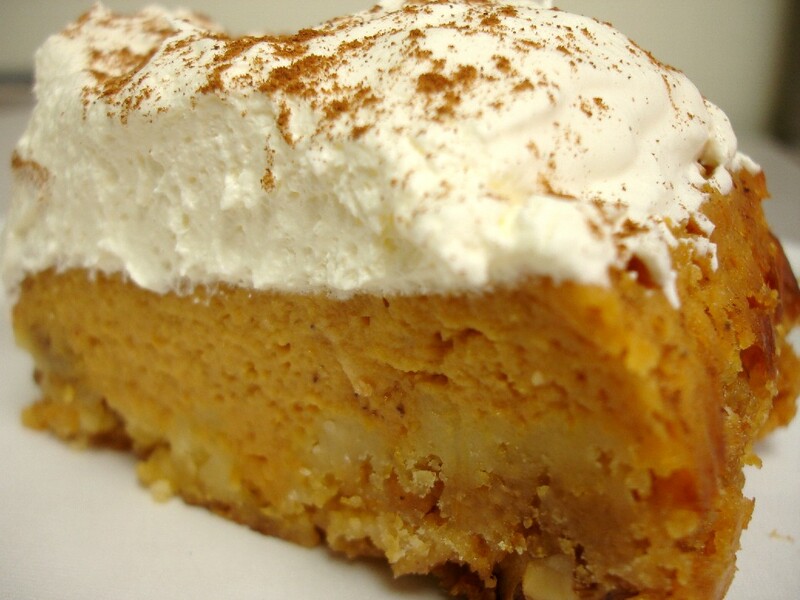 It’s a more FABULOUS version of Thanksgiving pumpkin pie. You can get it for $4.50 at The Wedding Cafe located in Ward Warehouse. Guittard Chocolate Cupcakes with Peanut Butter Frosting (in front) and Guittard Chocolate Cupcakes with Cream Cheese Frosting (in back), $2.25 each. Props to all of you administrative assistants for all that you do! My boss brought pastries from Safeway to celebrate. It’s not easy being sugar free in our office! We also took our 2 administrative assistants out to lunch at Wolfgang’s Steakhouse; review to follow. Today my co-worker brought us cakes for my boss’s birthday. She walked 15 minutes from our office to the Saint Germain on Kuhio Avenue and 15 minutes back during her lunch break! The cakes are $2.85 each. If there’s anything worth temporarily lifting my ban on sugar for, it’s strawberry shortcake, I decided. There’s nothing I love in this world more than cake, especially strawberry shortcake, wedding cake, and birthday cake. I’ve been known to buy birthday cakes at Safeway for myself (note: it was not my birthday).